The ACR Solis Multifuel Stove is the latest offering from ACR and one which will certainly strengthen the companys reputation for quality stoves. It is contemporary in design and it is not difficult to see why it is proving particularly popular among stove enthusiast. The cylindrical shape and the extended viewing area are perfect for those looking to sit back, relax and enjoy the deep seated heat which it creates. Tech spec for the ACR Solis Multifuel Stove reads as follows, dimensions, height 1004 mm, width 480 mm and depth of 480 mm. 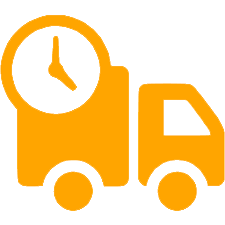 The stove weighs 110 kg, has capacity for log of up to 40 cm in length with a flue diameter of 150 mm. The heat output ranges between 3.5 kilowatts and 8 kW with a nominal 5 kW rating. 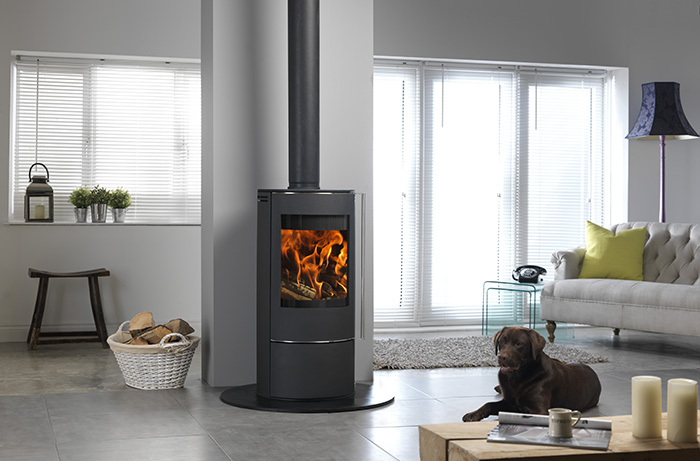 The net efficiency rating comes in at 82% and because of the design of the ACR Solis Multifuel Stove it requires a superficial non-combustible 12 mm hearth. The stove also has a longer than normal door handle made from brushed steel and is already compatible with SIA Eco Design regulations. 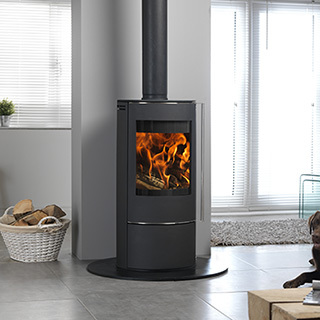 The matt black paint finish ensures that the ACR Solis Multifuel Stove will be at home in any environment and will be an eye catcher for visitors.